Tennis fans don’t have long before the 2017 Grand Slam season commences. 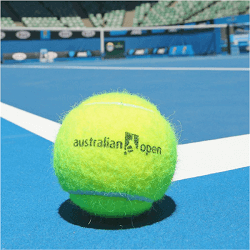 The Australian Open starts in Melbourne on January the 16th. Serious tennis enthusiasts may even be planning to catch the action live, as the AO 2017 experience includes a Ballpark for the kids, plus live bands and plenty of food and drink; not to mention top men’s and women’s tennis action on the court for two weeks. It’s obviously going to be a huge party, but the action won’t be confined to Melbourne Park. Tennis enthusiasts and sports punters from around the world will be following the action on TV, and there will be plenty of betting online. The level of talent on display in the singles matches, especially in this year’s men’s tournament, is of such a high standard that nobody can be considered a reliable certainty to make the semis or the finals, but let’s take a look at who is in contention. Rafael Nadal has battled injury since 2014, but he finally seems to be back in top form. He won’t be on his favourite surface, having won nine French Opens on clay, and he’s far from the Number One ranking. But his determination in recent tournaments, and the added spur of the Australian Open being the only Grand Slam he hasn’t won at least twice, may be the incentive he needs in addition to his undeniable talent, and the 2017 tournament could see him repeat his 2009 triumph. US Open champ Stan Wawrinka hasn’t rulled out Nadal, but he thinks the two players to beat this year will be last year’s finalists: Novak Djokovic and Andy Murray. Having just knocked Djokovic off the world Number One spot, and after winning Wimbledon for the second time in 2016, England’s Murray must be feeling confident about his chances, so maybe he’ll overcome the Serb in a third-time-lucky final this year. On the other hand, since 2011 Djokovic has not won the Australian Open precisely once: in 2014, when Wawrinka knocked him out in the quarter-finals. So Nadal, Murray, Wawrinka and other players in with a shot, like Dominic Thiem, Kei Nishikori or Nick Kyrgios, will have to play exceptionally to beat him.